Santa Monica, California is a destination for guests from all over the world. Some of the finest dining and entertainment in California are in Santa Monica. Without a quality ice supplier, many of the businesses in Santa Monica could not function. 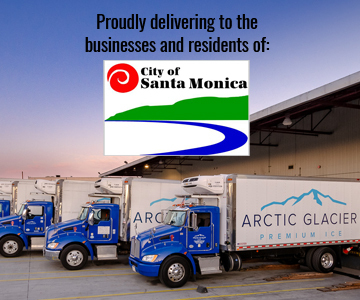 Arctic Glacier is proud to help the businesses of Santa Monica to maintain their high standards and continue to attract new guests. Our customers expect a quality of ice that goes beyond anything they could make themselves. Arctic Glacier brings in ice and spring water from all over the area. Then we use our special filtering processes to make everything we offer that much purer. When you compare our ice to any other ice available in the area, we know that you will see, taste, and feel a difference. We can make ice to your specifications, and we can also set up a reliable delivery schedule that will keep your organization on ice all day long. The businesses that service Santa Monica must have ice when their customers demand it. 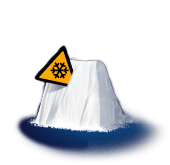 Arctic Glacier ensures there is always plenty of ice to go around. As part of our service, we deliver your ice to your location when you need it. If you are planning a special gathering of any kind, then we will coordinate with you to make sure that our deliveries arrive right when you need them. We work down the last detail to make sure that you get your ice when and where you need it. 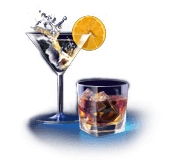 If you are having an event and run out of ice, then all you need to do is call us and we will be there as fast as we can. We will deliver your specific type of ice to your location in time to make sure that your guests never notice that the ice was running dry. We have ice for all occasions, and we will make sure that your next event is a success. Are you planning a family reunion at your home? Then give us a call and we will let you know just how much ice you need and when we will deliver it. Are you a banquet hall that just landed one of the largest and highest profile events of the year in Santa Monica? Then all you need to do is give us a call and we will make sure that you have the ice you need, when you need it. Santa Monica is the kind of place that has excitement for people of all ages and groups of all kinds. 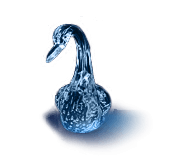 When you are looking for a reliable ice company to make sure that your guests have all the ice they need, then contact Arctic Glacier. We know ice, and we know how to meet your ice needs.